Broadbean is a recruitment software designed to streamline job posting and recruitment. It provides users with tools for resume searching, talent pool management, employee referral tracking, and more. Ready to get started with Broadbean? Request a demo. As of the date this article was written (01/22/19), there are no up-to-date user reviews of Broadbean online. If you are a past or current Broadbean customer, leave a review to help other business owners who are deciding whether or not to use the software. Broadbean pricing is not readily available on its website. Services from similar providers usually cost around $5 to $10/employee/month for basic services, while more extensive apps can cost $20 to $40/employee/month. Ready to get started with Broadbean? Request a demo. 7 Best Recruitment Software Options for 2018 — Recruiting software is used to help businesses find top talent by posting to job boards and keeping track of applicant resumes. In this guide, we compared our top recommendations based on affordability and available features such as job board posting, applicant tracking, and background screening. Can Broadbean users post on multiple online job listings? Yes. Broadbean integrates with thousands of job boards, resume databases, socials, and professional networks that enable users to quickly find the most relevant talent for their vacancies. How does Broadbean help users manage employee referrals? 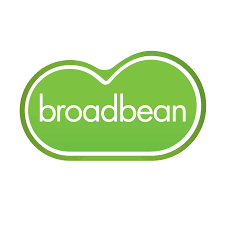 Broadbean allows users to connect their employees’ social networking accounts to the system for easier access to potential candidates. This allows users to tap into their employees’ current pool of connections in order to find potential candidates. Have you read these Broadbean reviews and are still not sure if it’s the right fit for you? Read our reviews of all top recruitment software.